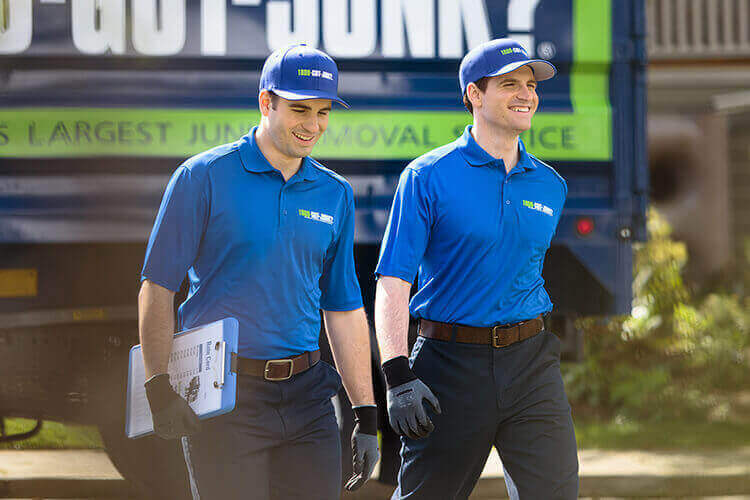 Computer Monitor Removal & Disposal | 1800-GOT-JUNK? Computer monitor recycling is especially important because monitors contain harmful chemicals like lead, cadmium and mercury. When monitors are crushed in landfills, these chemicals are released into the air and water and have been linked to serious respiratory and neuropsychological disorders. Most rubbish removers won’t pick up old monitors or computers for these reasons. Simply schedule your computer monitor removal appointment online or by calling 1800-468-586. Our friendly, uniformed truck team will call you 15-30 minutes before your scheduled 2-hour arrival window. When we arrive, just point to the computer monitor you want removed and we’ll provide you with an up-front, all-inclusive price. Once you say the word, we’ll remove your computer monitor from wherever it’s located and finish by cleaning up the area. Plus, we recycle and donate your computer monitor whenever possible.